The king is alive and well. In this case, I’m talking about Cabernet Sauvignon, and in particular, examples from Napa Valley. While a broad array of other varietals thrive there, it’s not even debatable that Cabernet Sauvignon is the grape that grabs the lion’s share of the spotlight. When grown in the right spots, tended with care in the vineyards and the cellar, Cabernet Sauvignon from Napa Valley can be as compelling as examples from anywhere in the world. And of course, the great offerings from Napa, which have a sense of place, are also unique in style and not replicable elsewhere. On a recent trip out there, I had occasion to sample many fine Cabernets, often from the 2012 vintage. There are some absolutely stunning specimens from 2012, and in general, it’s a vintage to keep your eye out for. Here are three that I really loved which will be perfect as gifts this holiday season, or on your table to commemorate special events, as well as alongside fabulous family meals. This selection is primarily Cabernet Sauvignon (85 percent), with smaller amounts of Merlot (8 percent), Malbec (5 percent) and Petit Verdot (2 percent) blended in. Winemaker Christophe Paubert sourced fruit for this wine from several areas around Napa Valley. Barrel aging took place over 20 months in entirely French oak; 37 percent of them were new. Violets and plum aromas lead the intense nose. Red fruits and savory herbs are laced throughout. Blackberry, sweet dark chocolate and peppercorn flavors are interspersed throughout the long, persistent and balanced finish. The flavors here are very fresh and focused with excellent proportion. This is a bit of a steal in its category. Most Napa Cabernets of this quality are twice the price. Winemaker Jon Priest sources fruit (100 percent Cabernet Sauvignon) from several benchland vineyards to craft this wine. 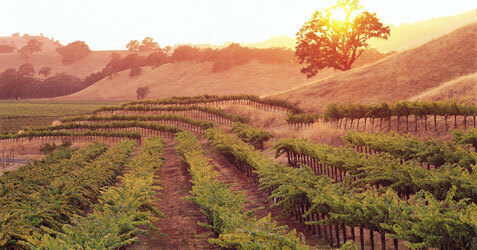 The vineyards are in a variety of Napa’s sub-appellations, each which bring unique qualities to the party. The goal is to create a Cabernet that reflects many of the elements found in Napa. It was aged entirely in French oak for 20 months. Black raspberry, earth and hints of toast light up the nose here. Tons of black and red fruit flavors fill the long and substantial palate, which is both powerful and elegant in nature. Espresso, minerals and dusty baker’s chocolate notes emerge on the long, pleasing finish. Firm tannins and racy acid are both part of the terrific structure. This offering is almost entirely Cabernet Sauvignon (98 percent), with splashes of Cabernet Franc (1 percent) and Petit Verdot (1 percent) blended in. More than half of the fruit is from Howell Mountain, with smaller contributions from St. Helena, Rutherford, Spring Mountain and Mount Veeder. It was aged more than 19 months in French oak (95 percent) new, and one year in bottle prior to release. Toasty oak leads the nose, followed by copious black fruit aromas. The palate is stuffed with black cherry, raspberry, spices galore and bits of mineral. Sweet dark chocolate, earth and additional bits of toast emerge on the long, somewhat lusty finish. The 2012 vintage is a great example of what is a classic and somewhat legendary Napa Valley Cabernet. These wines are a stellar trio. Tasting them side by side would be a fascinating window into a few of the various styles of Napa Valley Cabernet. However, even if you just taste a single one, you can’t go wrong regardless. They’re all excellent in their own way. The Beringer is the one most attuned to long term cellaring; it’ll go 15 to 20 years at a minimum. The Etude will drink well for 6 to 8 years, and the Stag’s Leap falls somewhere in the middle with a likely useful drinking window of about 12 years. They’re all delicious, and they’re all well made. Choose one or more of them based on your taste buds and budget. If you have been thinking that it is about time that you have finally treated yourself to a motorcycle, you might be concerned about whether you are getting the best ride for your money. To make sure that you are, you might want to stick with brand new motorcycles instead of a used one. While there might be a time and place to purchase a used one, this might not be it. 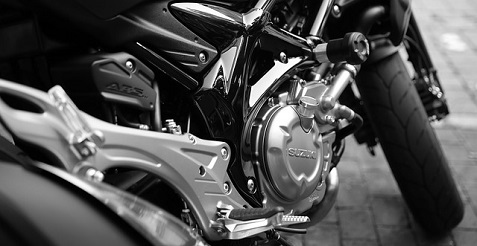 You will want to make sure that you are as well aware of your motorcycle options, just as Bob Parsons made himself fully aware of what was available when he started building his world-famous collection of motorcycles. If you’re looking to build your own man cave, there are tons of decisions to make when deciding what to add. A lot will depend on who you are and what matters to you. Check out the infographic below that lays out different types of guys and choices they can make for the best secret hideaway. Whether it’s the car of your dreams or a great bargain you can’t pass up, buying a car can be expensive and chances are you may not have the entire sum of cash resting idly in your savings account, meaning a loan will be required. Taking out a car loan is likely to be one of the more significant financial decisions you make, second to buying property, so here are five things to know as you consider your options. If you have a good savings history, a solid credit record and long term employment then your bank is probably the first port of call for a car loan. They can offer either a secured loan against your car or an unsecured loan for smaller amounts. 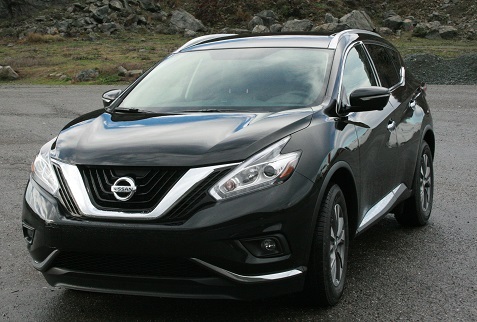 Tinting the windows of your car may seem like a needless expense, but it can actually be extremely helpful for a number of different reasons. It is especially useful if you live in a warm climate but it can also provide benefits for those who live in countries or cities that are a bit cooler. If you are considering tinting your car windows, specialists such as Mastertint can help you figure out the best way to go about it. If you’re still not sure, read on for some of the advantages of having your car windows tinted.